And others live in Light. Continuing to translate this interview from RIA Novosti in which Nicolás Maduro, the President of Venezuela speaks with Russian journalist Dmitry Znamensky. Whereas Maduro is the legitimately elected President of his country, there is another, self-called (what Russians call “samo-zvanets”) El Presidente waiting in the wings and hoping that Trump can put him in the big-boy chair. 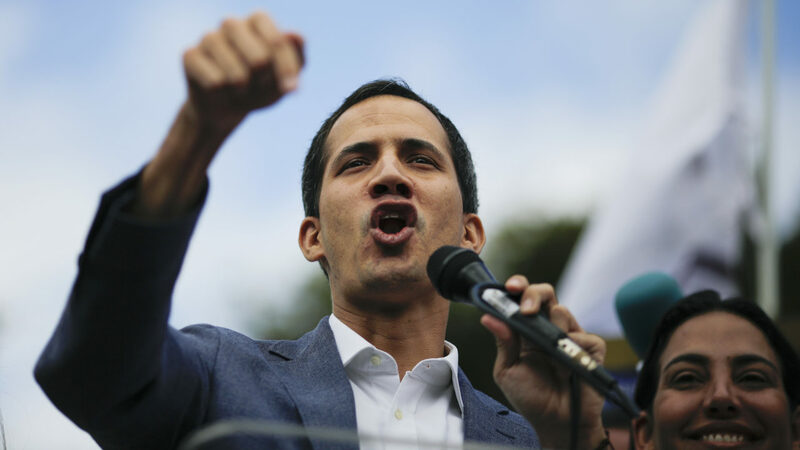 A hitherto obscure politician named Juan Guaidó is at the center of these recent events, and has been recognized as the “legitimate” President by the United States and a series of their European and Latin American satellites. Whereas the 35-year-old Guaidó is presented in the American mainstream media as a combination of the cat’s pajamas and the bees knees, the Russian press has been doing a bit of digging and find him to be a typical American regime-change project. The Americans always seem to pick these types to overthrow governments they don’t agree with: energetic, good-looking, photogenic men in their 30’s. Must have attractive wife and preferably cute children. Somebody they can hold up alongside the older, aging, not so cute, sometimes even thuggish looking “Dictator du jour”. See, their youthful energetic guy represents the future and stands for all good things: Democracy, Prosperity, Hope and Audacity! Whereas the guy who stands in their way, is a Neanderthal thug who simply needs to go. He can go quietly, or they will try to kill him, like they did Gaddafi. Guaidó, according to Alexander Khristenko of Russian VESTI news, was studying law and politics at George Washington University, an excellent American college which also supplies many cadres for the American political class. Guaidó’s advisor was a former Venezuelan official who was fired from his job by President Hugo Chávez. And another Professor of Guaidó’s was a man who used to head the International Monetary Fund. These people are keyed in to the highest levels of Pax Americana. 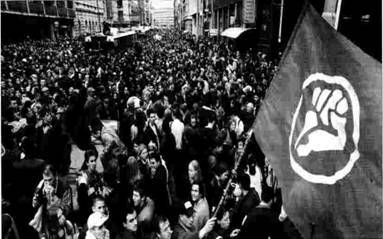 Which makes their imitations of 1960’s type “left-wing” posturing and slogans (such as the raised fist) simply silly. Silly and also offensive to actual leftists, those, for example, who fought to end American imperial involvement in Vietnam. Despite his attempts to portray himself as a simple “man of the people”, the son of a pilot and schoolteacher from a small Venezuelan town, Guaidó fully belongs to the pro-American imperial elite. 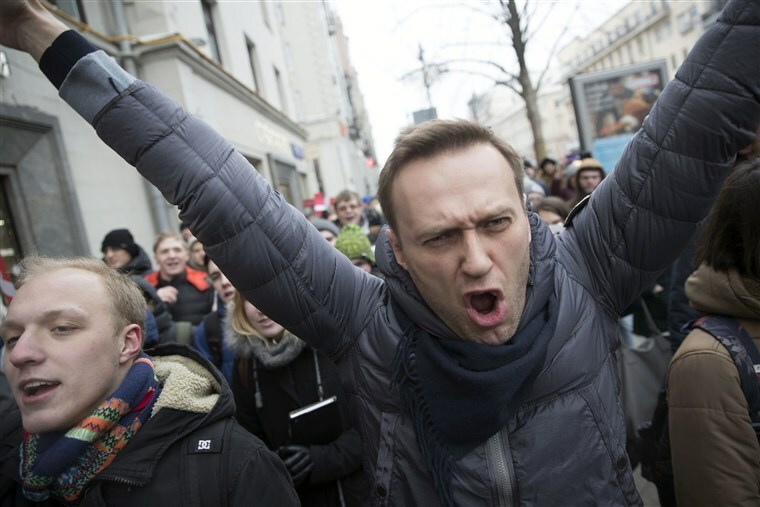 And despite his attempts to portray himself as a “man of peace”, the Opposition leader is actually the opposite. His biography (which is now being heavily edited in the English-language Wikipedia) shows a pattern of violence and “rebelliousness”. That is, if a man can call himself a “rebel” who always acts in the interests of The Powers That Be. According to American journalist Dan Cohen, Guaidó began his career as a “rebel” by flying to Belgrade (along with four other “student leaders”) to participate in special “trainings” conducted by the radical Serbian organization “Oplot” [yalensis: I think this is a typo, Khristenko means to say “Otpor“], a successful CIA project to overthrow Yugoslav President Slobodan Milošević. After the destruction of Yugoslavia, this Color-Revolution scheme, funded by organizations very close to the CIA, set their sights on the next series of targets: Gruzia, Ukraine, and Venezuela. Their logo of the clenched fist was seen everywhere, although was modified for the Venezuelan “market”, the clenched fist becoming an open palm. Ah, sweet! But, whether fist or open palm, the brutality and violent tactics remain the same. These are tactics proven to work (under certain conditions), starting with peaceful protests, then graduating to violence, direct attacks against the police, the demonization of the nation’s elected leader, etc. It’s like somebody made the same movie over and over again, just in different languages and settings. During the protests in Venezuela in 2014, Guaidó proved his chops. Using tactics similar to those of the Ukrainian Maidan, violent mobs threw Molotov cocktails, built barricades, attacked the police, and even burned people alive. 43 people died in the course of these protests. Guaidó has since deleted these violent images from his Twitter feed, ’cause now he’s a man of peace. Z: Would you say that there is an order to arrest Mr. Guaidó, since the Prosecutor General has said he would undertake certain measures against him? M: This is a constitutional theme of Venezuelan jurisprudence. I, as the head of state, have my own opinions in this regard, that an attempt at a coup is underway, which is a violation of the constitution. But that’s just my opinion, as the head of the government. The Prosecutor General needs to act, and he has already begun to act. The Supreme Court needs to act, and it has already begun to act. Whatever is decided by the Prosecution and the Court will be carried out by the Venezuelan legal system. Z: But there is currently no order for his arrest? M: As far as I know, this measure has not been undertaken yet. We are going to wait for the further internal constitutional and legal processes, and then we will see what the results are. There is no hurry, we will wait. This entry was posted in Breaking News, Economics, Friendship of Peoples, Human Dignity, Military and War, The Great Game and tagged Juan Guaido, Venezuela crisis. Bookmark the permalink. Good piece! Your instincts are correct; the Oplot is a Ukrainian version of the T-84 Main Battle Tank. A Freudian slip indeed.